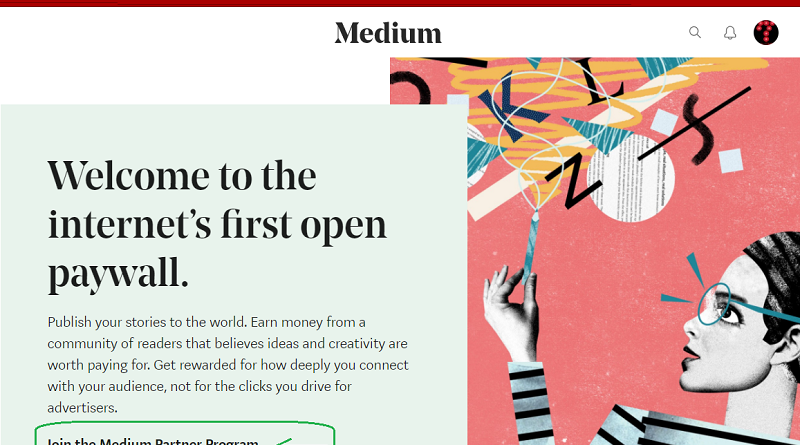 Good news for all writers and bloggers, now Medium (http://Medium.com) opens an opportunity for you who wants to contribute to its platforms and get paid for your writings. 1. Login to your Medium account via Computer web browser. 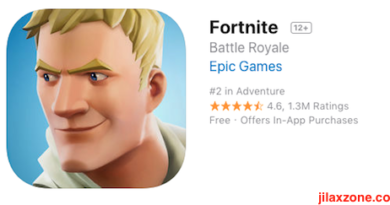 If you are new, sign-up for it. 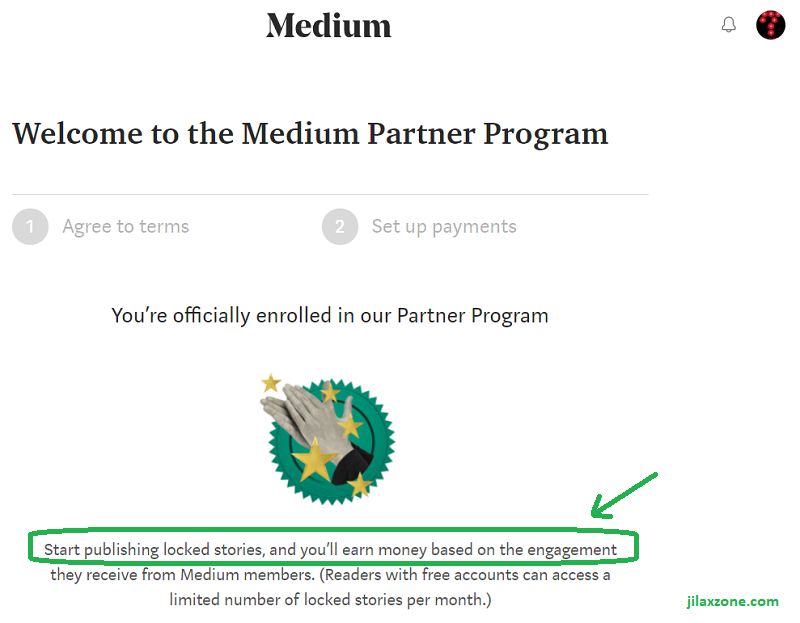 At the time this article is written, Medium app (iOS / Android) does not yet support Medium Partner Program setup. 3. You’ll be brought to creators page. 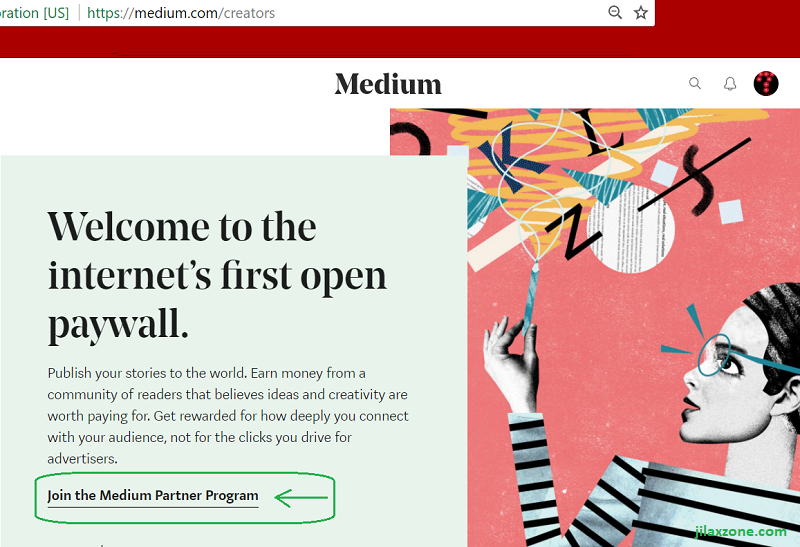 Click on Join the Medium Partner Program (refer to image above, click the link pointed by the green arrow). 4. Again you’ll be redirected, this time to partner page. There’s two tabs: Agree to terms tab and Set up Payments tab. Do check their terms, conditions and agreements. 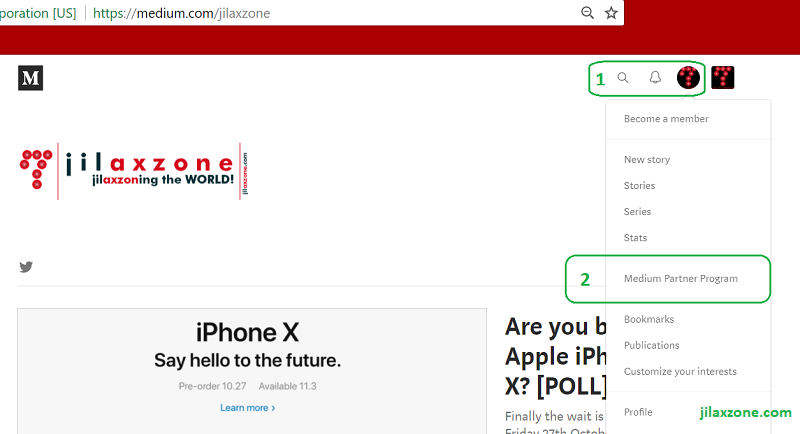 Should you agree, tick all and proceed to Setup payments. 5. 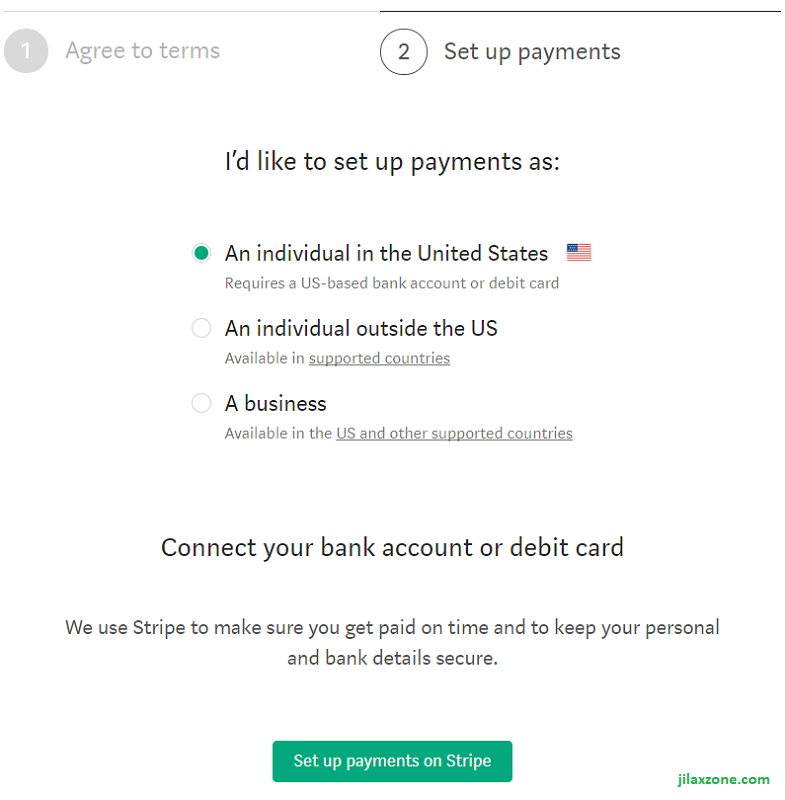 On Set Up Payments, choose one of the options available: whether you are US resident, non-US resident or a business (refer to image above for more details). 6. 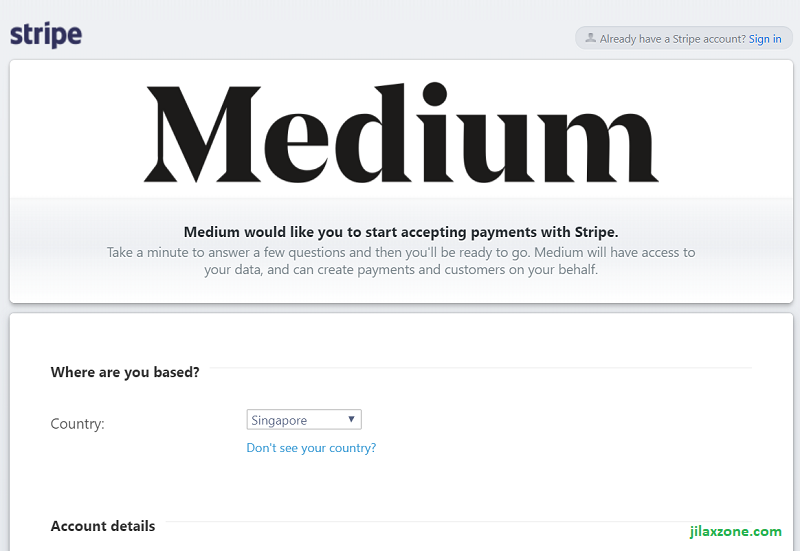 Next step is to setup the payment via Stripe.com (at this time the article is written, Medium only supports Stripe – it doesn’t support PayPall). Click on Set up payments on Stripe. 7. Fill in all the necessary and required details and click save. Once done, that’s it. You’ll get the notification that you are officially enrolled in our Partner Program. Now since you are registered as Medium Partner Program, doesn’t mean you’ll start get income flows-in through your bank account. Convert your existing stories/articles into member only stories/articles. I, myself, has been a Medium contributor even before they came out with this Partner Program. And knowing this opportunity where I can get extra income from my freely published stories and articles, I directly signed up myself. If you are like me, who like to share stories and/or articles, why not join the program? You are going to still write the articles and stories, at the same time get paid for it. What are you waiting for? Joining Medium Partner Program is totally FREE. Disclaimer: I don’t get anything from Medium nor Stripe from this posting. All step by steps presented here done by myself based on my own experience to help you earn passive income from stories and articles you published on Medium. Follow the steps presented here at your own risk. Do read their terms, conditions and agreements.